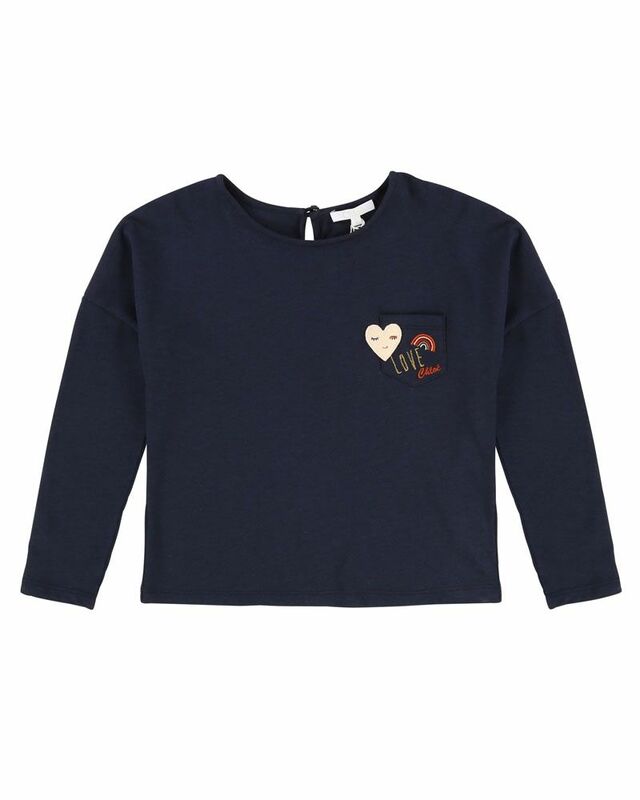 Chloé soft navy jersey top with smock detailing on neckline and embroidered patches. 50% Cotton, 50% Modal. Imported.